Tracy Clark writes the Cass Raines PI series. Set in Chicago, the series features ex-homicide cop turned PI Cassandra Raines, a hard-driving, African-American protagonist who works the mean streets of the Windy City dodging cops, cons, killers, and thugs. 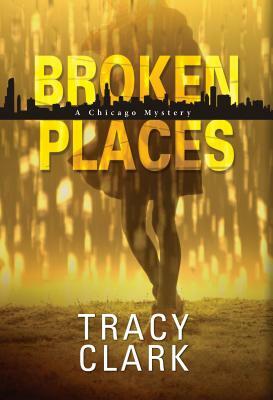 Her series debut, Broken Places, made Library Journal’s list of the Best Crime Fiction of 2018 and was short listed in the mystery category on the American Library Association’s 2019 Reading List. CrimeReads also named Cass Raines Best New PI of 2018. The novel also received a starred review from Publishers Weekly, a rave from Kirkus Reviews, was selected as a TOP PICK by Romantic Times and was nominated for a Lefty Award for Best Debut Novel for 2018. Tracy works as an editor in Chicago where she roots for the Cubs, Sox, Bulls, Bears, and Blackhawks equally. She is a member of Sisters in Crime, PI Writers of America, International Thriller Writers, and a Mystery Writers of America Midwest board member. Visit Tracy on Facebook, follow her on Twitter at tracypc6161, or check out her author website at tracyclarkbooks.com.